Blurb: The newest boy at Mrs. Timmins's Home for Orphans and Foundlings awakes at first light with no name and no memory. But a strange girl who hides among the shadows of the orphanage tells him that a mysterious wizard's creation, the Book of Lies, holds the answers, and then gives him one clue: "Your name is Marcel." Thoughts: This is a very exciting and confusing book. It kept me guessing at what would happen next. I've never been quite so confused by a story before, but that just made it all the more enjoyable. I'm now off to go read the third book in this series (our library didn't have the second). I can't wait to see what happens next! 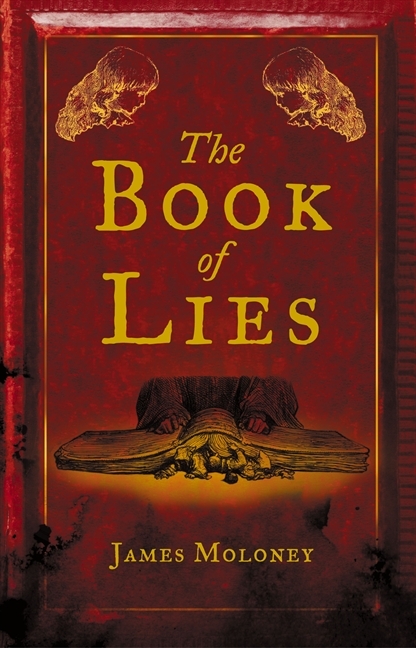 Have you read The Book of Lies? What did you think of it? What are you reading at the moment? Now I really want to read it! Great review!